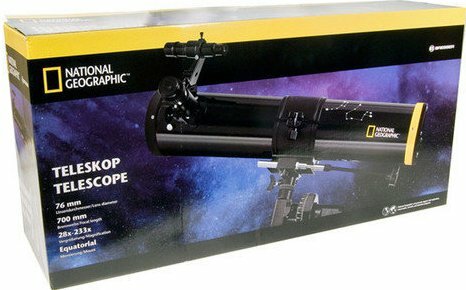 The National Geographic 76/700 is an ideal telescope for beginning astronomers and children who want to find their way in the universe. This telescope has a lens diameter of 76 millimeter and a focal length of 700 mm. 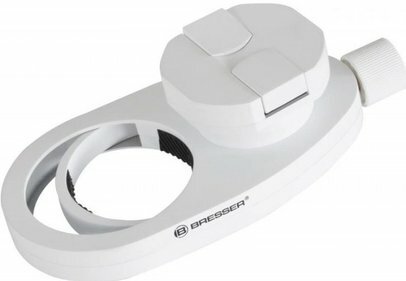 The maximum useful magnification is 152x. The 76/700 by National Geographic is suitable for moon and planet observations, and observations of deep-sky objects. 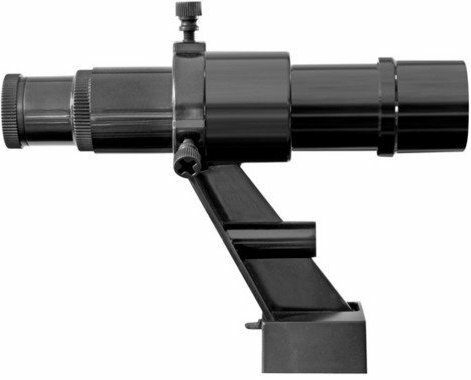 With this telescope you can for example observe the hundreds of craters of the moon and the ring of Saturn. 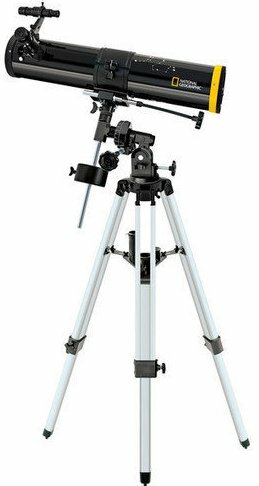 This telescope is equipped with a robust aluminum tripod, an equatorial mount and a 5x24 viewfinder. 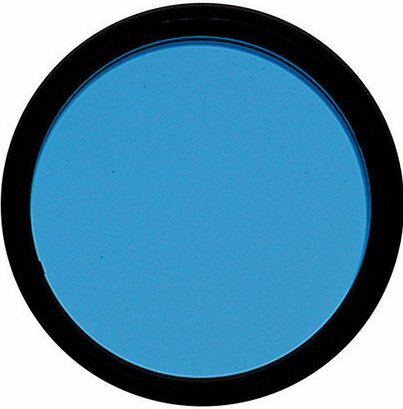 Included with the National Geographic 76/700 telescope EQ are a Barlow lens (2x magnification) and three eyepieces with a lens diameter of 9, 12.5 and 25 mm. You will also get a moon filter and an erecting eyepiece (1.5x). 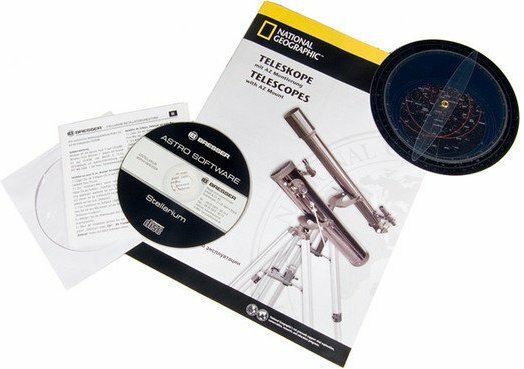 In addition to these accessories this telescope also comes with astronomy software, which helps you find the different celestial objects easier. 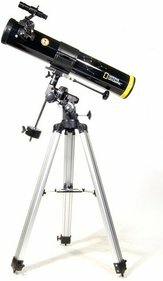 Write a review By sharing your experience with the National Geographic 76/700 reflector telescope EQ, you can help others (perhaps still doubting customers) with making a good choice.